Beautiful eyelashes can enhance your eyes beauty and make them look bigger. If you have naturally big eye lashes than you can enhance their beauty by applying eye makeup. If you have small or less eyelashes don’t worry you can make them appear bigger by using fake eyelashes. Before using false eyelashes it is necessary that you should know how to use it. 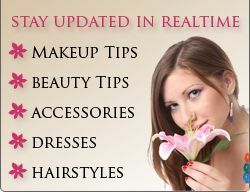 Below there are some guidelines which will help you to apply fake eye lashes. If you are ready to apply it then first of all measure them, if they are wider then your own natural eyelashes then you should trim them with sharp and small scissors. Now apply a very thin line of eye lash glue along the base and let it sit for 1 minute. Look into a mirror and apply fake eyelashes above your natural ones and be careful that they are as close to your eye lash line. With the help of fingertips, tweezers or a toothpick adjusts them. Now wait and let them dry. Once they dry curl them with eyelash curler. After that give them final touch with eye make up. If you do apply the fake eyelashes properly nobody will be able to guess that they are not your natural eyelashes. After using them you should take care when removing those from your eyes, as your eye lids are very sensitive part of your body. Always remove them by eye makeup remover and cotton swab. Apply the eyelash remover with cotton swab on you eye lids then wait for the glue to soften. 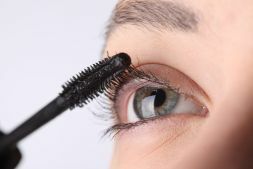 After making sure that the glue has been soft, slowly try to pull the eyelash from your eyelid. You can also used petroleum jelly with warm water to remove them. Although fake eyelashes are the good alternative to make your lashes appear big and wider you can also use the below given tips to increase your own eyelashes. Using Olive oil and Vaseline does helps to maximize your eyelashes. You can also apply many other options available in market to maximize your eyelashes naturally. Eyelashes are an essential part of your eyes beauty. Highlighting your eyelashes gives you a gorgeous look and makes your eyes more appealing.